so you have factual hard data regarding every teams test plans? you have no idea where drivers are lifting, which drivers are lifting, how much power people are running, what people are testing but you can come up with a conclusions based on 2 pieces of information. seems credible. Lack of speed due to tuning the PU down, as per Renault's recommendations. 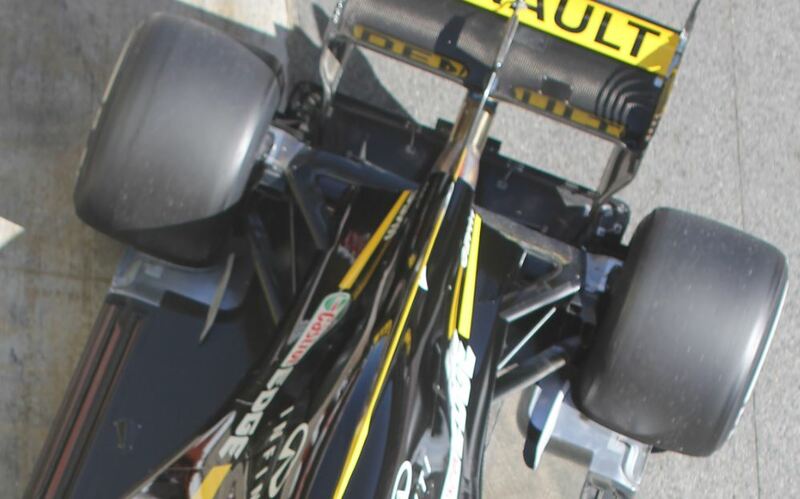 No point running the s-duct in that configuration. Also allows them to evaluate the base car with less variables. 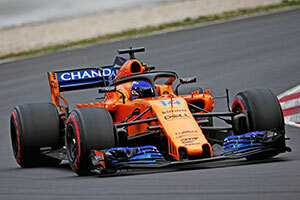 Furthermore, if McLaren's upgrade is as big as expected for Aus, then that whole section of the car could be totally different. All educated guesses I know, but let's not jump to conclusions, especially with the tired and old draggy aero argument. Maybe they simulated downforce levels that they expect from aus aero update. Yeah you can't "Simulate" downforce without an actual hardware. It's not a video game. I knew that Ferrari had taken inspiration from McLaren's slotted nose pillars, but only now I saw that they also have slotted elements on their front wing, just like McLaren. 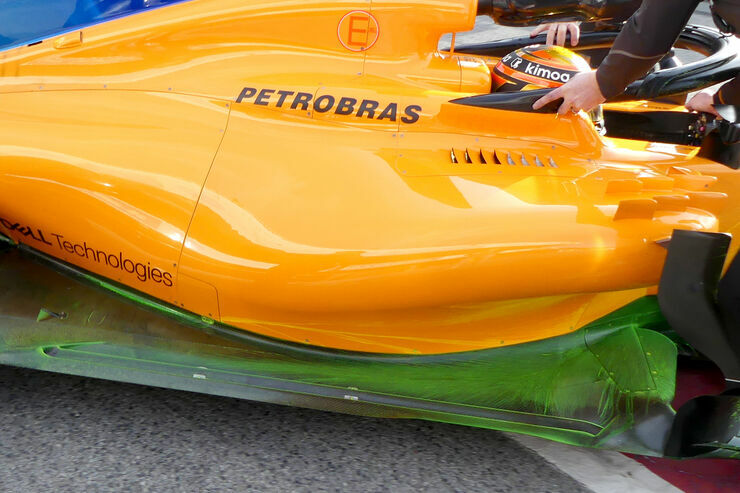 So since Honda joined, we saw their s-duct, wing slots and nose pillars copied, and also I think they were the first to have the fins on the outside of the rear wing endplates (correct me if I'm wrong). All of that to me indicates that their aero department is on the right direction, perhaps with proper power we could see some good results. General comments and disputes about the effects of rake are not car specific and should be discussed on the aero forum. Interesting to see the hot air exits on the Merc engined cars appear far smaller than their competitors despite putting out the highest power. 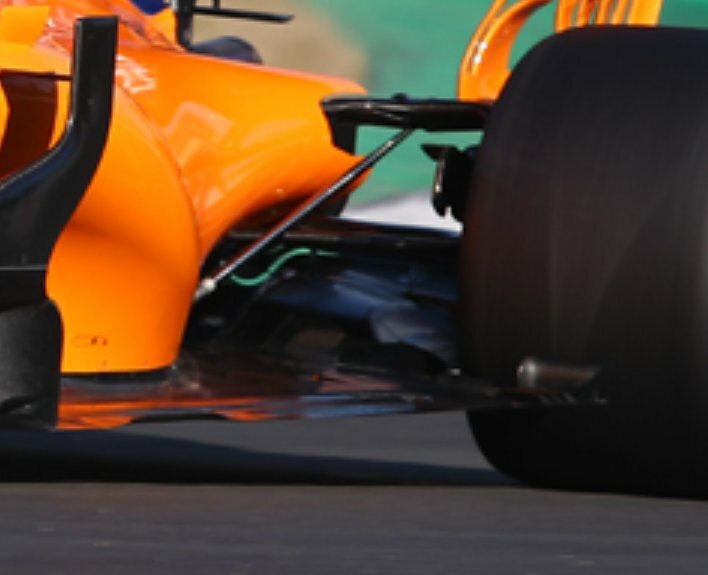 Any ideas why the McLaren ones are situated so much higher up than all the others (they're actually level with the exhaust tip)? 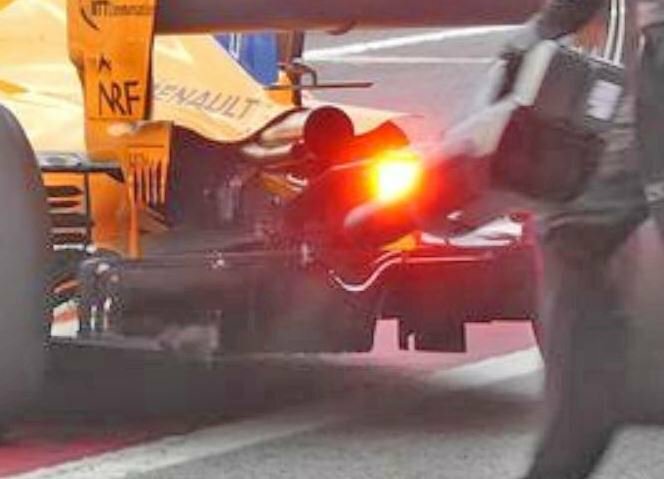 Given the issues with cooling around this area in testing I wouldn't be surprised to see this area of the engine cover altered for Melbourne. I would guess that they're that high to allow more air to flow underneath the exits and on top of the diffuser. well there you go, less cooling is as a result of the power going to the crankshaft and not as rejected heat. efficiency equals power in this formula. Can we say if this car failed to meet targets at this stage? Would be interesting to see how far off redbull it is.